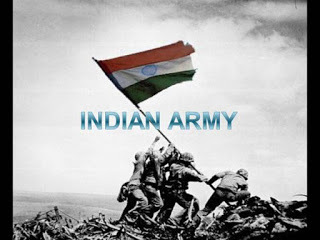 Indian Army Recruitment Notification 2018.Indian Army inviting applications for the positions of Soldier General Duty, Soldier Nursing Assistant, Multiple Vacancy.Interested and Eligible candidates can apply for the positions. Last Date for Submission of Application is on August 13th, 2018..
10+2 / Intermediate Exam pass in Science with Physics, Chemistry, Biology, and English with Minimum50% marks in agg and minimum 40% in each subject. OR In case the candidate has a BSc Degree with (Botany / Zoology Bio-Science) and English, the stipulation of percentage in Class-XII is waived off. a. Admit Card. Printed with Laser Printer on good quality paper (Do not shrink the size). b. Photographs. Twenty copies of unattested Passport size colour photographs developed on good quality photographic paper in white background not more than three months old Computer printouts/ photo shopped photographs will NOT be accepted. (i) Education Certificates with marks sheet in original of all educational qualifications achieved by candidate i.e. Metric / Intermediate / Graduation etc from recognized School / College / Board / University. (ii) Provisional / online education certificate should be certified ink signed by the head of the educational institution of concerned Board / University. (iv) Degree holder candidate will produce Provisional / Original Degree issued by University. Candidates studied from NIOS, required to produce transfer cert (TC) of class 8th/9th duly countersigned by the respective District Education Officer to authenticate its correctness. (d) Domicile Certificate. Bonafide Rajasthan Domicile (Mool Niwas) Certificate with photograph duly authenticated by Tehsildar/District Magistrate and to be prepared from e-Mitra in original. (e) Caste Certificate. Caste Certificate with photograph duly authenticated by Tehsildar/District Magistrate and to be prepared from e-Mitra in original. (f) Religion Certificate. Religion Certificate issued by the Tehsildar/SDM (If religion as “SIKH/HINDU/MUSLIM/CHRISTIAN” is not mentioned in caste certificate). (h) Character Certificate. Character Certificate with photograph issued by Village Sarpanch/Municipal Corporation within last six months and Character Certificate duly authenticated by Police Authority and to be prepared from e-Mitra in original. (j) Unmarried Certificate. Unmarried Certificate for candidates less than 21 years of age with photograph issued by Village Sarpanch/Municipal Corporation within last six months. (k) Relationship Certificate. (l) NCC Certificate. NCC A/B/C certificates and Republic Day Parade certificate should have photograph of the candidate duly attested by issuing authority. Provisional NCC A/B/C pass certificates will only be accepted if authenticated by concerned NCC Group Commanders. (a) Administration. Candidates are advised to bring sufficient eatables and drinking water with them since recruitment is a time consuming process. (b) Candidates will be permitted entry into the rally site only on production of Admit Card in duplicate generated online through the official website www.joinindianarmy.nic.in. anyone found with fake admit card will be handed over to Civil Police. (c) Recruitment into the army is a free service. Candidates are advised not to pay bribe to anyone for recruitment as process is based purely on merit. Selection process during recruitment at all stages is computerized and transparent. Therefore candidates are advised to be beware of touts as they cannot help them at any stage. (d) Candidates are advised to check their age and education criteria before participating in the rally. Candidate found under age / overage and not meeting education criteria will be disqualified. (e) Giving / taking bribe, production of bogus / fake certificates and indulging in unfair means is a criminal offence and liable for punishment under law. (f) Certificates with overwriting, tampering of seals or erasing/alteration of any type will not be accepted. (g) All documents submitted by the candidates are verified by government agencies before enrolment into Army. Strong legal action will be taken against individuals submitting fake documents. Even after recruitment, the service will terminated if candidates are found to have produced fake documents or gave wrong information at the time of recruitment, despite the number of years of service individual may have rendered. (h) No compensation for Death / injury / loss etc during the rally and no travelling allowance / dearness allowance of journey is admissible. Candidates will participate in the rally at their own risk and the participation is totally and purely voluntary. The signing of Indemnity Bond is a mandatory requirement. 1. Army Recruitment Rally will be held for eligible candidates of Jaipur District from 28 Sep 2018 to 06 Oct 2018 1. at Vidhyadhar Nagar Stadium (Rajasthan). Online registration is mandatory and will be open from 30 Jun 2018 to 13 Aug 2018. 2. Admit cards for the rally will be sent through registered e-mail from 22 Sep 2018 to 27 Sep 2018. Candidates should reach the venue on given date and time as mentioned in the Admit Card.